8 Festivals in Kolkata That You Must Experience! Kolkata is a colourful city in terms of everything and Bengalis just need one reason or another to celebrate. This fact of the region is and has been being glorified in various aspects of the print and cinematic media. The festive fervour is perhaps one of the many things that highlight Kolkata, making it a place one of its kind. The beautiful township is known for its many festivals which keep its residents busy throughout the year. The entire atmosphere is painted completely different during the festivals and there is a lot of commotion and rush all around. There are a plethora of festivals that take place throughout the year, like Durga Puja, Kali Puja, Saraswati Puja etc. There are also a lot of lesser known ones which are popular in the Bengal region and which assume different forms in different regions of the country and we will try to make you aware of those. Perhaps one of the unique celebrations of Kolkata is the day celebrating the Homecoming of the Hindu Goddess of Learning, Goddess Saraswati. This is usually celebrated on the fifth day of Hindu month of Magha, known as Vasant Panchami in Northern parts of the country and Saraswati Puja in West Bengal predominately. This day is dedicated to the Goddess as a day when all the study related things should have an auspicious beginning. In Kolkata people consider this day to be very fortunate for their children to start writing for the first time. This day is also marked by small girls wearing colourful saris and going out on the streets to visit the richly decorated pandals of Goddess Saraswati. Although the more known celebration of the Homecoming of Goddess Durga is during the month of September- October, scriptures have it that originally the Puja was performed in the spring season. This form of worship of Goddess Durga was the only time that the Goddess was called upon the earth but nowadays the ?Shardiya Durga Puja ? has become more famous. But the Basanti Durga Puja is still very famous in the Kolkata region. Considering it to be a miniature Durga Puja, the city comes alive with the sound of conch shells and brightly lit pandals with extensively decorated idols of the Goddess and people wearing colourful attires and dancing to the beat of 'dhakis'. 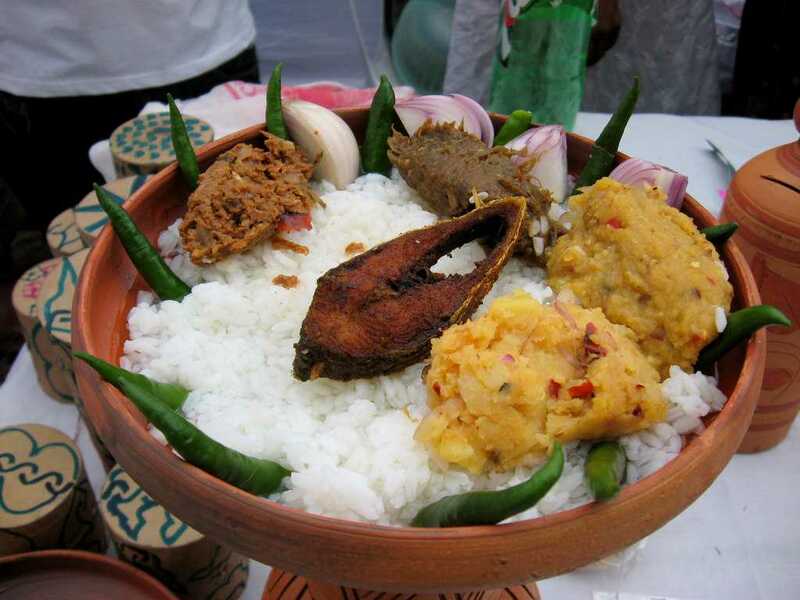 Poila Boishakh or the first day of Baisakh is the first day of a Bengali calendar year. The day is often known as Bengali New Year. This day marks the beginning of a new year for a Bengali household and thus calls for a celebration. People make extensive preparations for this day, buying new clothes, preparing extensive dishes at home and most importantly offering prayers to Gods and Goddesses. This day is very special for the Bengalis. On this day the traders start their new accounting books, the ceremony is commonly known as 'Hal Khata'. This beautiful commemoration celebrates the complicated but underrated relationship between a mother in law and her son in law. This is a day to bring the warmth back in the relationships and proves to be yet another reason to celebrate the blessing that is life. On this special day, the son in law visits his in-laws home where a grand party is organized for him, containing people from the household or more acquaintances as they want to mark the occasion. The mother in law cooks extensive and mouth-watering dishes for her son in law and no celebration in the Bengali household can be complete without food. The day is also marked with giving gifts to the son in law from his in-laws too and also being blessed by them with having a long and prosperous life ahead. Perhaps one of the grandest festivals of the state, Durga Puja of Kolkata is famous worldwide for the huge celebrations and the faith that comes with the victory of Good over Evil. The festival is a massive celebration in the name of Goddess Durga who defeated the shape-shifting demon Mahisasura after a ten-day battle. The day is known as Vijay Dashmi. The celebrations are truly on a different level altogether with roads being ten times more crowded than the usual (mind you the usual crowd there is unusually large! )with people going out for their last minute shopping sessions and for sightseeing the extensive pandals that flock the city. The city sure has some of the best artistically made pandals which draw attention from all around the world. The city loses itself during the 10 days of celebration. Lakshmi Puja is the celebration of the homecoming for the Hindu Goddess of wealth and prosperity, Goddess Lakshmi. The festival is entirely restricted to the Bengalis since Hindus apart from Bengalis do this Puja during Diwali- the festival of lights. This is usually done at home by a priest or by own and offerings are made to Goddess Lakshmi and prayers are made to bring wealth and prosperity to their homes. Celebrated nearly twenty days after Durga Puja this festival is perhaps the other largest festival of Kolkata apart from Durga Puja. Celebrated in the honour of Goddess Kali, this festival is marked by chanting mantras during nighttime which goes up till dawn. The Deity is adorned with garlands of hibiscuses and offered sweets, rice and lentils although animal sacrifices are also made at a few places, now has been greatly reduced. The festival is celebrated when the rest of the country celebrates Diwali- the festival of lights. This festival is celebrated in Kolkata as a substitute for the Hindu Raksha Bandhan although it is somewhat different. In this, the sister puts a ?tika? on the forehead of her brother while muttering incantations and then feeds him sweets. The sister prays for the long life of her brother and also that he finds the strength to fight wrongdoings. This is the Bengali version of celebration cherishes the bond between a brother and sister. These are some of the festivals which Kolkata is really famous for and these help in realizing the importance and significance of festivals in a Bengali household. Kolkata is full of life and gusto. The mere numbers of celebrations that take place throughout the year are a mere testament to the everlasting and undying spirit of the people around here. It is indeed a remarkable place to be in!